The world belongs to those who believe in the beauty of their Dreams! CSTEP is a grant-funded program sponsored by the New York State Department of Education. The purpose is to increase and support the number of talented underrepresented students in the science, technology, engineering and mathematics (STEM) disciplines and health-related professions. The program provides supportive services, enriching learn-shops, resources, and activities for students who are majoring in qualifying areas or disciplines which lead to licensed professions or certification by the Board of Regents. Note: If the career you’re interested in isn’t listed, contact the CSTEP office to see if you qualify. The application process is simple. Complete an application, by calling or emailing the office or meet with a CSTEP staff member. CSTEP will continue hosting our STEM Talks again in the spring semester. STEM Talks is similar to the TED Talks format. Individuals that are proficient in areas connected to STEM, Allied Health and careers leading to a license will lead the intimate roundtable discussions. STEM Talks will be lead by our dynamic faculty/staff members and CSTEP scholars. The sessions will run either 15 or 30 minutes with at least two recurring sessions. Offering scholars the opportunity to benefit from the content when it's convenient for their schedules. 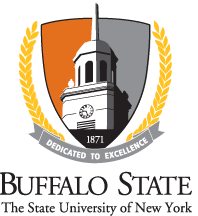 If you're interested in facilitating a STEM Talk, please contact our office at 716 878 4197 or via email at CSTEP@buffalostate.edu.